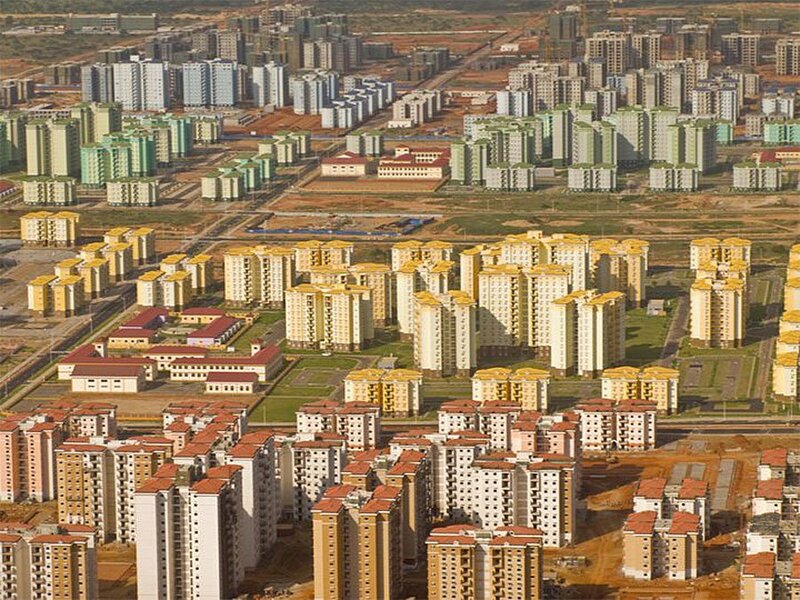 PERHAPS THESE CHINESE GHOST CITIES SHALL BE USED FOR AGENDA 21 AND FEMA RE-EDUCATION CAMPS FOR AMERICAN OR ASIAN CITIZENS ? AFTER USA DEFAULTS ON IT’S “DEBTS” TO CHINA ! Now, the BBC reports a giant new Chinese-built city has been spotted in Africa in the outskirts of Angola’s capital Luanda. “I am a Christian”? Sign the pledge now! The city, Nova Cidade de Kilamba, was designed to hold up to a half million people and features 750 eight-story apartment buildings, 12 schools and more than 100 retail units, according to the report. State-owned China International Trust and Investment Corporation reportedly took less than three years to build the city at a cost of $3.5 billion. It covers 12,355 acres. BBC former Angola correspondent Louise Redvers reported that they discovered that the city’s buildings are completely empty. 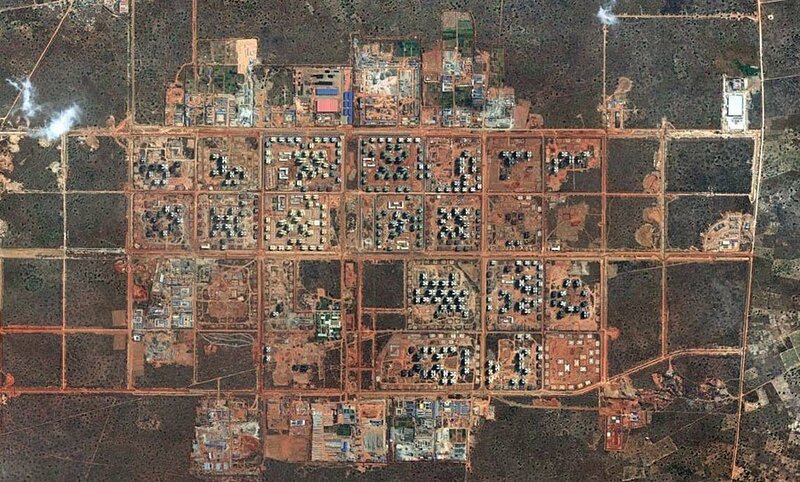 The empty cities aren’t only in Africa. WND and Jerome Corsi’s Red Alert reported just last year that Google Earth photographs of China depict city after city of vast complexes consisting of office skyscrapers, government buildings, apartment buildings, residential towers and homes, all connected by networks of empty roads – with some of the cities located in China’s truly most inhospitable locations. Block after block of empty houses and apartment buildings, glamorous public buildings, magnificent public parks and sports complexes, even art museums, remain entirely empty. Business Insider speculated that the Chinese need to put their money somewhere, so developers have decided to build, as a place to store the wealth, even if the Chinese building these cities do not intend to live in them and there is no prospect they can find renters. This entry was posted on July 24, 2010 at 5:58 pm and is filed under Uncategorized. You can follow any responses to this entry through the RSS 2.0 feed. You can leave a response, or trackback from your own site.